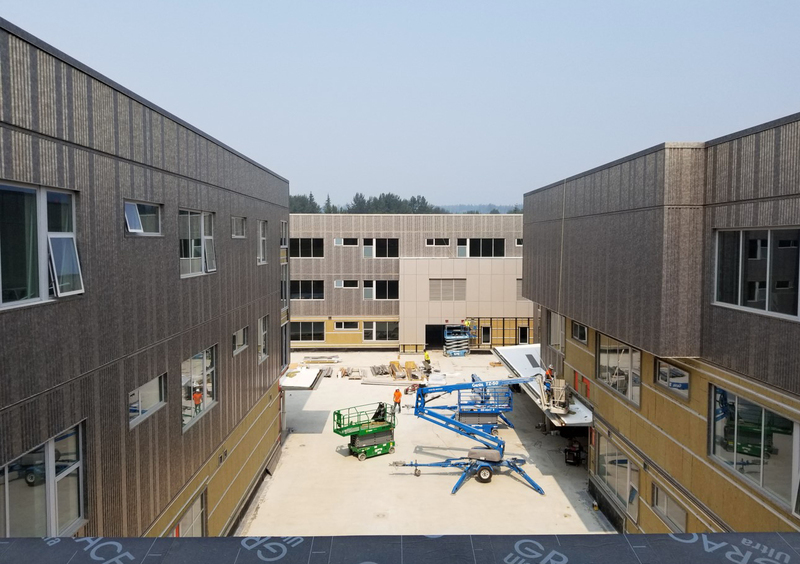 Significant progress on the new Mount Si High School campus was completed this summer and work continues at a steady pace as planned. 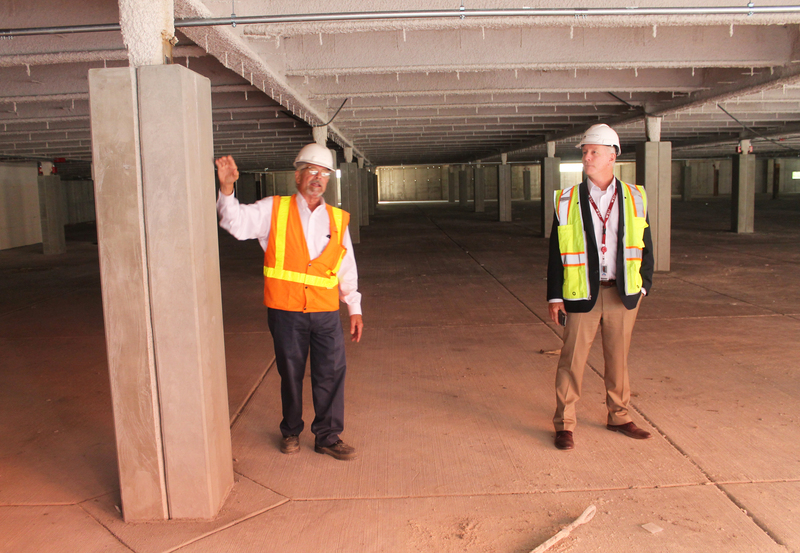 The project remains on budget and on time to be ready to serve students next September. 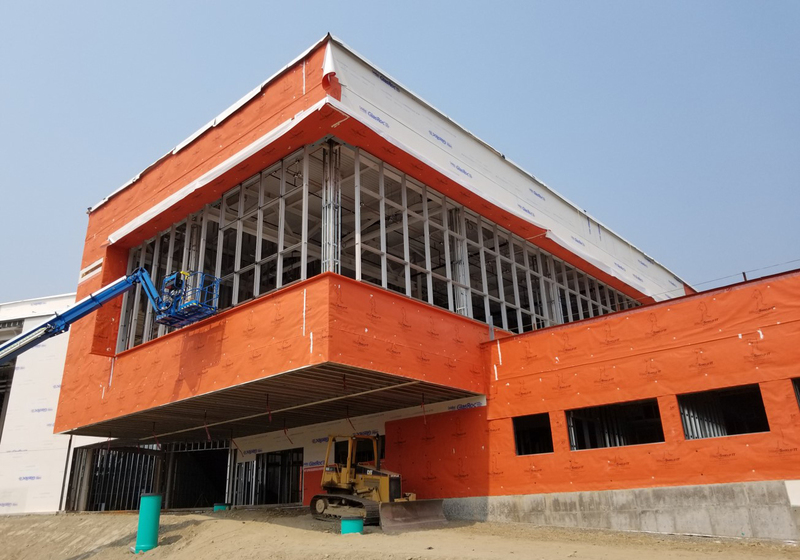 Watch a quick video to see the developments that took place this summer -- with a glimpse inside, under, and over the new buildings. 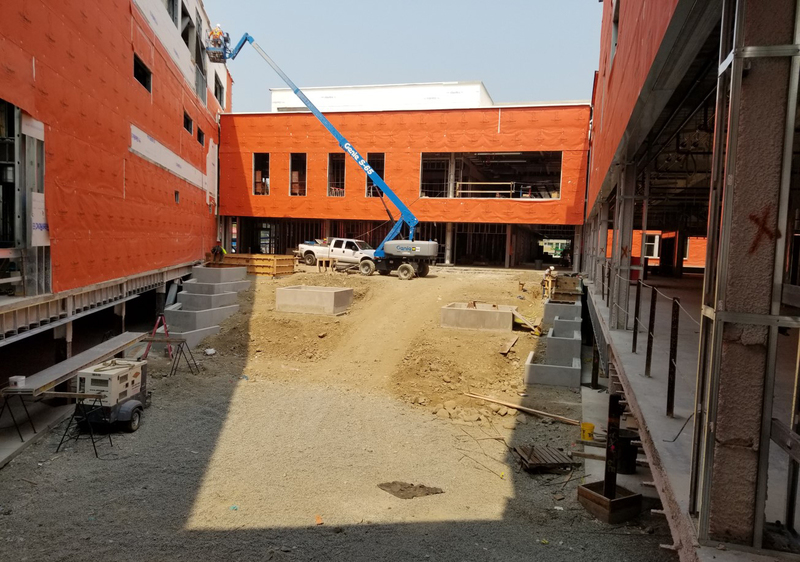 Ceiling-to-floor window frames are added to the Media Center in Area D.
Up on the rooftop, foundations for two green houses have been poured. surrounding the platform between Areas A and B, has a reflective quality. Cement planters will offer landscaping in the interior courtyard leading from the parking garage. 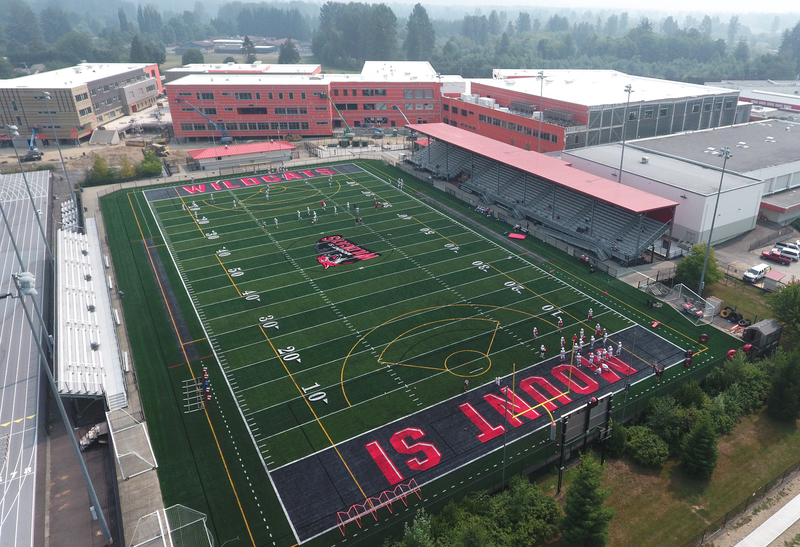 Mount Si High School football team is practicing on the new field surface. 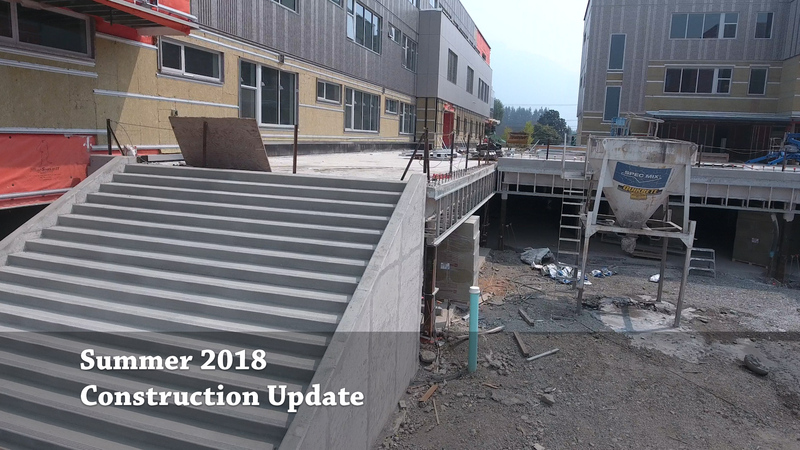 For specific details regarding the work underway and photos from the Project Manager, please read the August 2018 Progress Report . 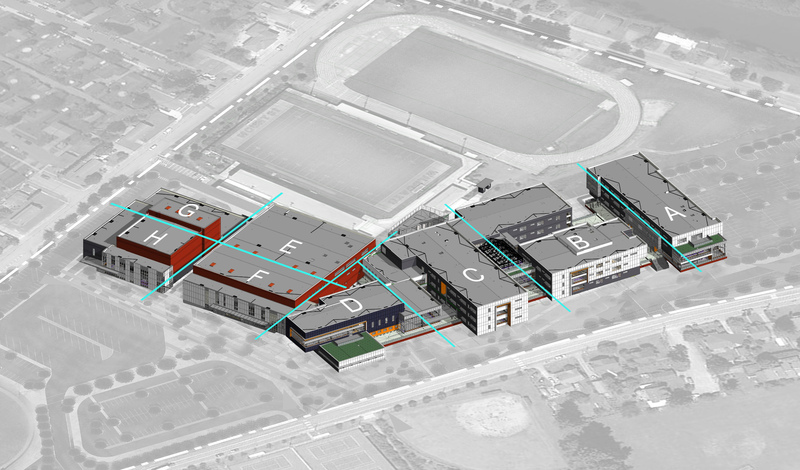 Per the site map below, areas A-F are currently under construction and will be ready to students in the fall of 2019. Areas G-H represent the new Performing Arts Center, which will open January of 2021.
that will offer stunning views of Mt. Si. Photo taken September 6, 2018. 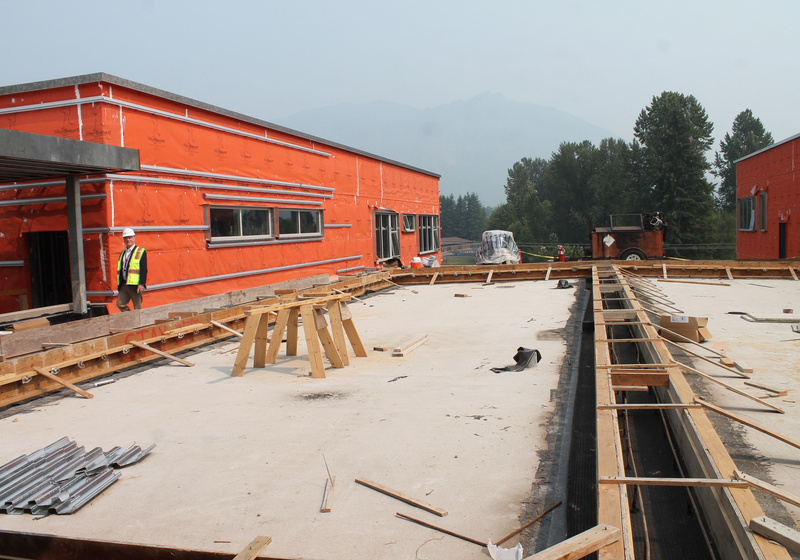 Two Rivers School - exterior painting and classroom flooring. Heating system upgrades at FCES, NBES, SES and the Freshman Campus. Adding portable classrooms at FCES, SES and TRES to serve enrollment growth and continue to reduce class sizes. 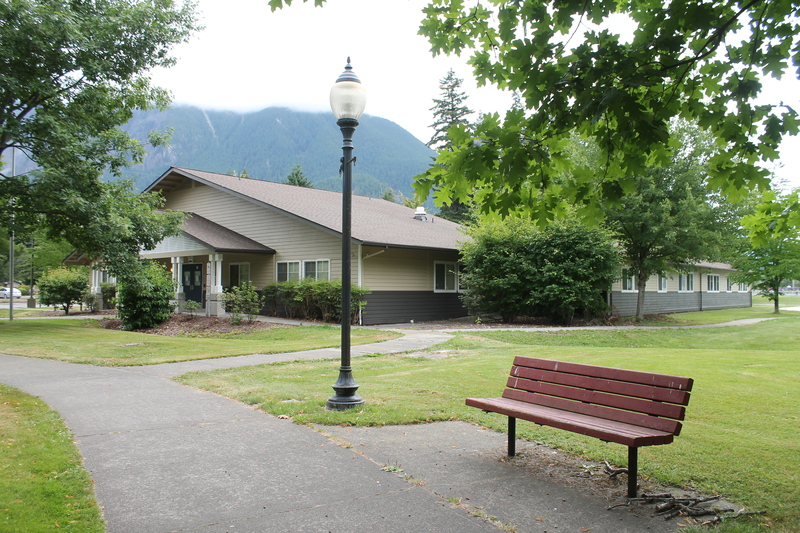 Historic District Office - window, siding and roof replacement, as well as repairs due to significant dry rot to maintain and preserve the historic building. In addition, insulation is being added to the building, along with exterior painting and other weatherization improvements. Two Rivers School was painted this summer.